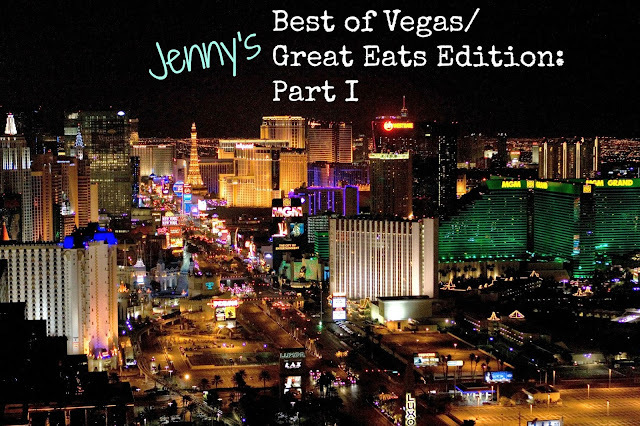 I promised a list of great eats in and around my favorite shopping areas in Vegas in my latest post: "Jenny's Best of Vegas/Shopping Edition" . *Restaurants with an asterisks (*) indicate they are located in separate Vegas shopping areas. Travel times are via car/taxi and are estimated in minutes (from the shopping area). So without further ado -- here it is! A quick taxi ride from the outlets or Fremont Street for breakfast or lunch. the street from eat.. It's amazing American cuisine. You will not be disappointed! If you are driving yourself, there is metered parking (I don't recall seeing a parking lot). Check out the menu here. First level of Fashion Show Mall. -Margarita's and Mexican food anyone? This place is located on the strip at Fashion Show Mall. We held my friend Amber's bachelorette dinner party here. Check out the menu here. Located on the lower level of Fashion Show Mall across from Apple. -The pizza was delectable. My topping's of choice: pepperoni and sun-dried tomatoes! I especially loved their half carafe's of vino! The half carafe is the perfect amount to share with a friend. The live runway shows occur right outside Grimaldi's doors on selected weekends. Check out the menu here. -Coming soon to Fashion Show Mall! Check out the menu here. Located on second level of Fashion Show Mall. On corner of Las Vegas Blvd & Fashion Show Drive. -I haven't been to this location, but I have been to one in Texas. Their baked ziti is pretty darn amazing! Check out the menu here. Short walk (less than 10 minutes) from Showcase Mall (connected to Monte Carlo). -Shortly after arriving to Vegas, we met up with friends visiting from out-of-town and this is where we ate. It's good Mexican food right on the strip. First floor is dining and the second floor is an open-air bar with live entertainment. Check out the menu here. Located in Town Square Las Vegas. -Delicious and decently priced italian food. I especially like the open, airy feeling at this location. Everything I've ordered here has been wonderful. I visited both locations on multiple occasions. I took a friend, Amy, from Montana to this location and she loved the roasted garlic, spinach and artichoke dip appetizer. We also took our good friends, Candis and Andy, when they visited from Colorado and they were both pleased as well. Check out the menu here. 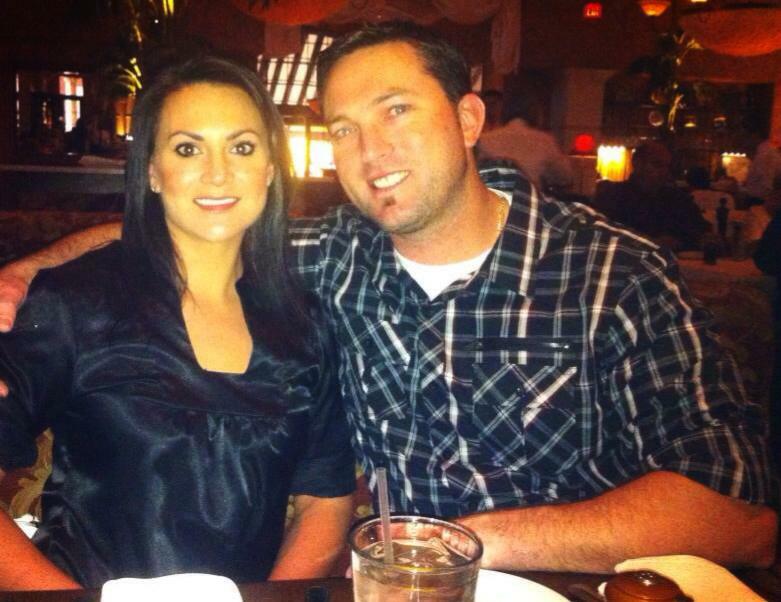 Our friends Candis and Andy at Brio (Town Square) (April 2013). 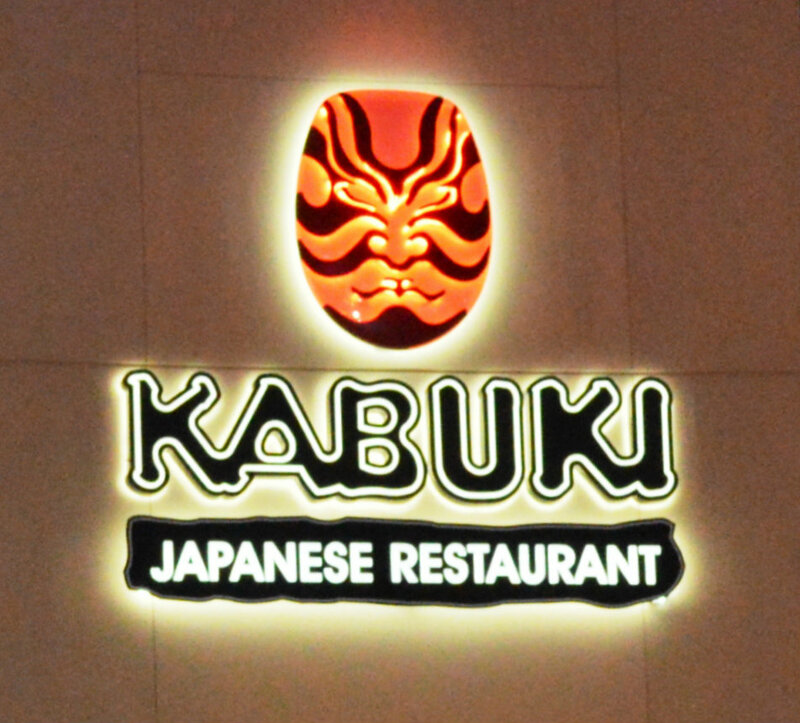 -Sushi restaurant with great sushi and happy hour prices. The interior decorator did an amazing job, because everything in there is eye-catching! 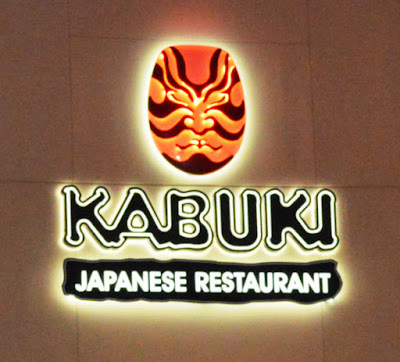 My friend Sandy introduced me to Kabuki. I went to two locations in Vegas and I was pleasantly stuffed after each visit. I especially loved their tempura fried green tea ice cream (its the size of a softball!). Check out the menu here. Image found on Google images with permission to reuse and modify. Located on north end of Town Square off of Sunset Rd. -Ever been to a Brazilian Steakhouse? Well, this one won't leave you hungry, that's for sure! It's a bit pricey per person (lunch is much cheaper than dinner).The salad bar is awesome, but don't fill up too much because when the meats come, they will be hard to pass up! The numerous waiters holding large skewers of meat walk around asking guests if they'd like some. Each guest is given a card to flip green meaning "Keep it coming!" or red meaning "Taking a break" or "I'm full." It's a fun experience and you will DEFINITELY get your money's worth and if you indulge too much, you could possibly get the "meat sweats" (exact words from my husband) later on. Check out the menu here. Located at the back section of Town Square across from movie theater. -Awesome happy hour menu! The beer menu is extensive and I especially liked they stocked a couple beers from a brewery in my home state of Delaware -- Dogfish Head. The menu is page after page of delicious salads, entree's, tacos, pizza, sandwiches and burgers. My "house favorite" entrée was a toss up between the Mac & Cheese and the Ginger Crusted Norwegien Salmon. Across the street from my favorite Marshalls store! -I know I'm listing it again, but for those of you staying at Red Rock it's right downstairs right off of the casino floor. 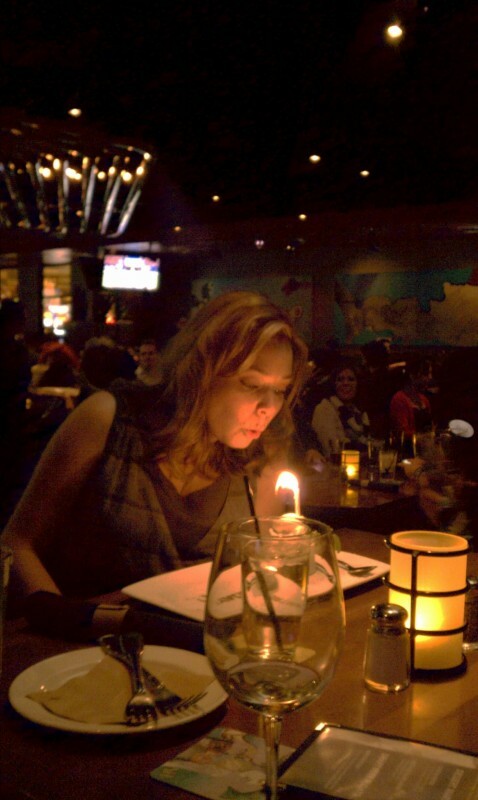 We found ourselves at this particular Yard House because it was easy to get to from our house and all of our friends. The other location is located at Town Square Las Vegas. My group of friends celebrated A LOT of their birthday's here. Check out the menu here. 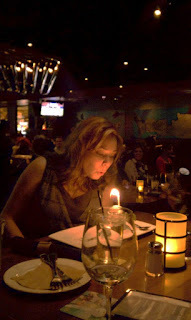 My Birthday dinner at Yard House (Dec 2011). Across the street from Marshalls. In the same parking lot as my favorite Marshalls store! -Never a disappointment! I remember taking advantage of the happy hour menu with friends at the location close to my house. If you can't find something to eat here -- you're just plain picky! Crisp tasting, handcrafted beers. I especially loved their Brewhouse Blonde! Located in the same parking lot as Marshalls and across the street from Red Rock Resort and Casino. Check out the menu here. at my table. Delicious food with great service. Honey Salt serves brunch and dinner and has a cute outdoor patio. I never went it to this location, but it's exactly the same as the Town Square location (see above description). Check out the menu here. This location was closer to my home so I went here a few times (see above description). Check out the menu here. -Pepperoni and sun dried tomatoes was my favorite. I celebrated my graduation dinner at this location. Features an outdoor seating area. Check out the menu here. -Delightful sushi restaurant with great happy hour drinks & eats. This location has an outdoor bar. When I went with my friend Amber, we ate inside at the sushi bar. Check out the menu here. Thanks for stopping by and I really hope you enjoy your trip to Vegas! Stay tuned for "Jenny's Best of Vegas/Great Eats Edition Part II!" where I will be discussing my favorite restaurants on the Vegas strip and all around town! *The opinions in this blog are my own and I am not paid to endorse any of the above mentioned restaurants or shopping areas. Fab resource. Thanks for taking the time to put it out there. Many years ago I visited Vegas on a ridiculously tight budget and only ate the cheapest item at the cheapest restaurant I could find. I hope I can get back and utilize your list sometime.